Rockstar Anirudh Ravichander would indeed be a happy man. His last album ‘Petta’ starring Rajinikanth went on to become a massive hit among the fans and music lovers. Meanwhile, he is also a part of Shankar’s Indian 2, starring Kamal Hassan and Kajal Agarwal. In an exclusive interview with Behindwoods, ANirudh shared some exciting information on the project. 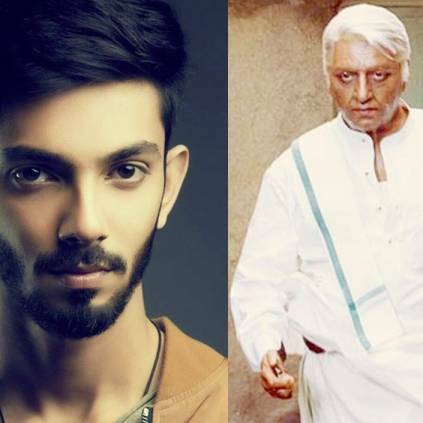 When asked about Indian 2, Anirudh said “I am really excited to be a part of Indian 2. Shankar sir called me and told about Indian 2 six months before I started working for Petta. And then, since 2.0’s release got delayed, I got a lot of time to work on Indian 2 as well. The songs and BGM are shaping up well, and I can’t wait for audience to hear it”. Vijay's Son Sanjay And Vikram's Son Dhruv In Shankar Film? Vijay's Son And Vikram's Son To Act In Shankar' S Next Film? People looking for online information on Anirudh Ravichander, DNA combo, Indian 2, Shankar will find this news story useful.